Earn up to 41 Points Points. 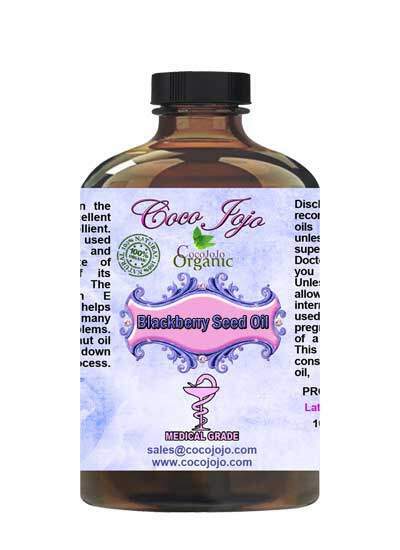 Blackberry Seed Oil 100% Pure Pharmaceutical Grade product is Unrefined, which mean it is in the purest for that it can possibly be in. Blackberries are comprised of more than 85% water with an abundant dose of fiber. Both of these are essential for a healthy-looking skin. 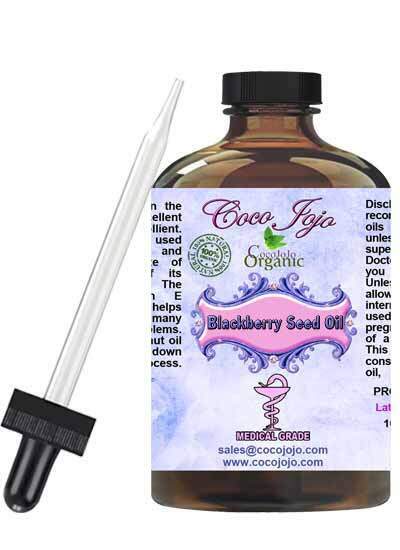 The consumption of blackberries detoxifies the body and maintains the elasticity of the skin.